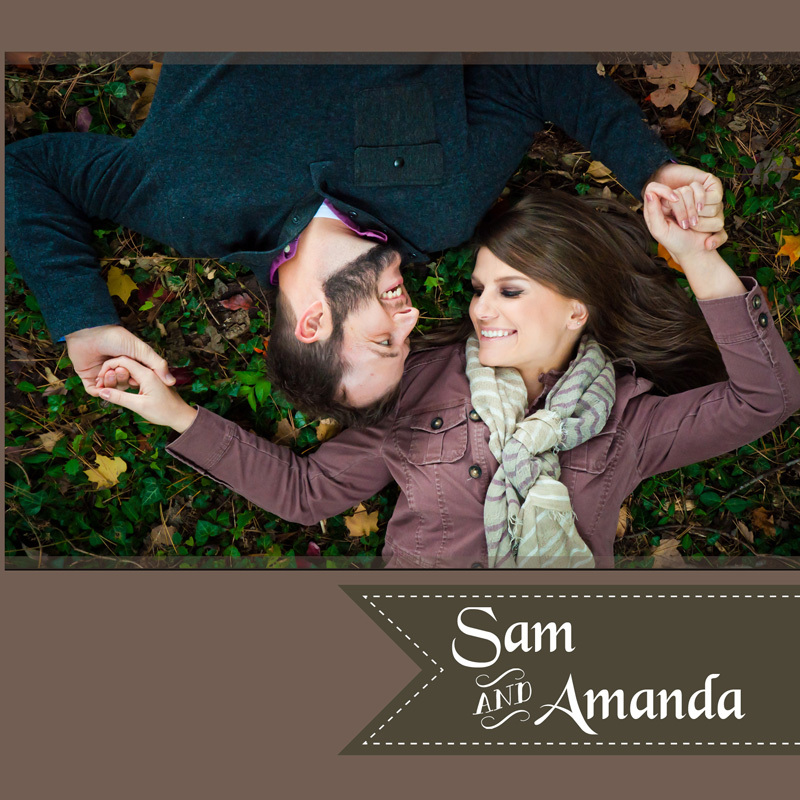 When I posted Sam & Amanda’s wedding post, I totally remembered that I never posted their gorgeous fall engagement session outside of Winchester, VA! 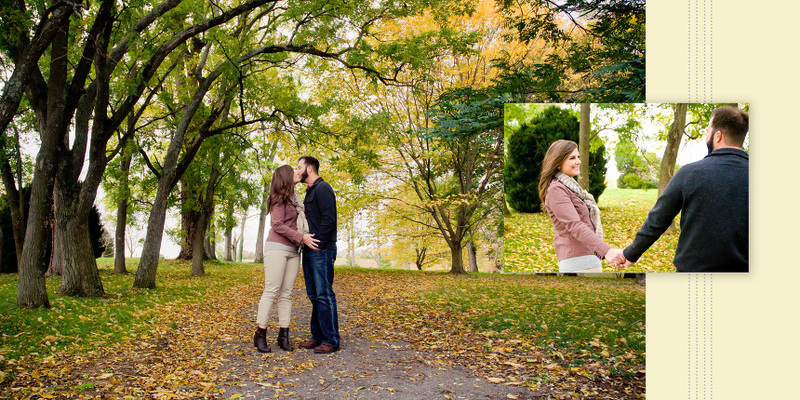 The leaves were almost at their peak on this chilly day which made for a great background for their engagement photos. 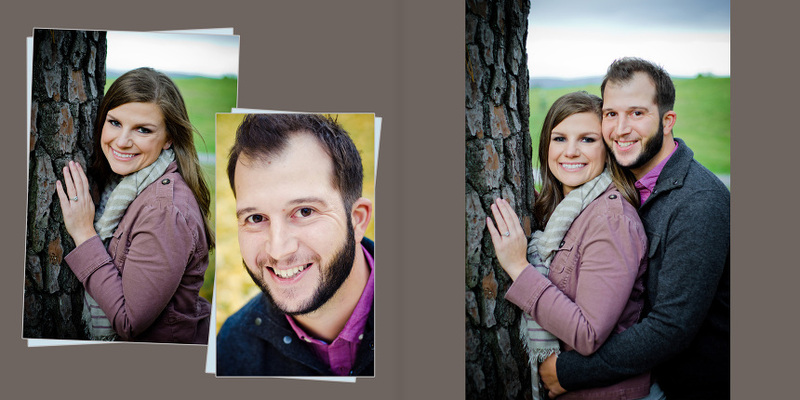 Instead of showcasing my favorite engagement pictures from their portrait session, I’m going to show you their favorite images that they chose for their engagement album! This book turned out beautifully! Here are the album spreads starting with the super cute cover. The following images are what their album looked like if you opened the book and laid the pages flat. These engagement albums make the perfect addition to a living room coffee table for guests to browse during get togethers, and they are light enough to easily transport to the parents’, the office or to your engagement party.